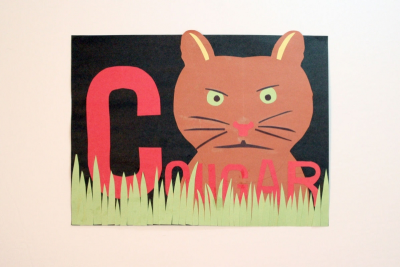 Students work together to create a Canadian animals alphabet using construction paper and cut out letters. 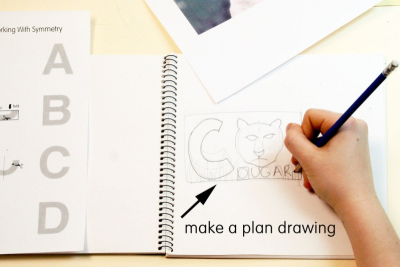 Make a plan drawing in your sketchbook. Block out spaces for all the letters. Make sure the first letter of the animal's name is large. Choose the colours you want to work with. 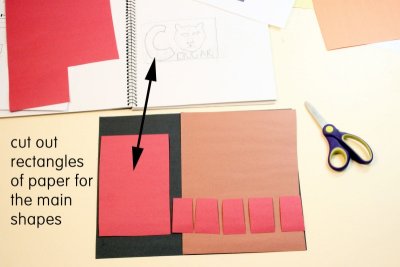 Cut out rectangles of paper for each of the main shapes. Arrange the rectangles on the background paper to make sure they all fit. Use symmetrical shapes to cut out the animal and details. Arrange the shapes to be sure they all fit. Choose contrasting colours for the details. Glue the pieces in place. View the picture with fresh eyes. - Is the main letter large and dominant? - Are the smaller letters easy to read? - Do contrasting colours add emphasis to parts of the composition? demonstrate technical accomplishment and creativity. share the finished book with another class. Download and display the Space and Contrast posters available on this website. Gather and make available Canadian animal books, for example, Moose, Goose, Animals on the Loose! : A Canadian Wildlife ABC, by Geraldo Valério; Canadian Animal Alphabet Book, by Nicky Bird, and Peter Duncan; Let's Look & See: Canadian Animals Board book, by Anness Publishing Ltd; Weird Facts About Canadian Animals, by Wendy Einstein; Wild Animals of the Canadian Rockies, by Kevin Van Tighem; and Animals Illustrated: Caribou (English), by Dorothy Aglukark, David Aglukark, and Amanda Sandland. Review symmetry and lines of symmetry. Conduct a read aloud using the book Moose, Goose, Animals on the Loose! : A Canadian Wildlife ABC, by Geraldo Valério. Discuss the pictures and Valério's collage technique. 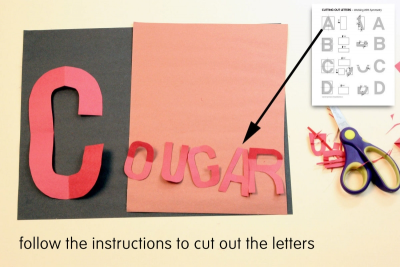 Follow instructions to cut out letters. Identify lines of symmetry in letters of the alphabet. 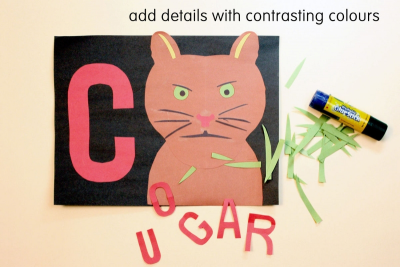 Create a collage of a Canadian animal that includes its name. Use contrasting colours to create areas of emphasis. Ensure that everyone understands the challenge. 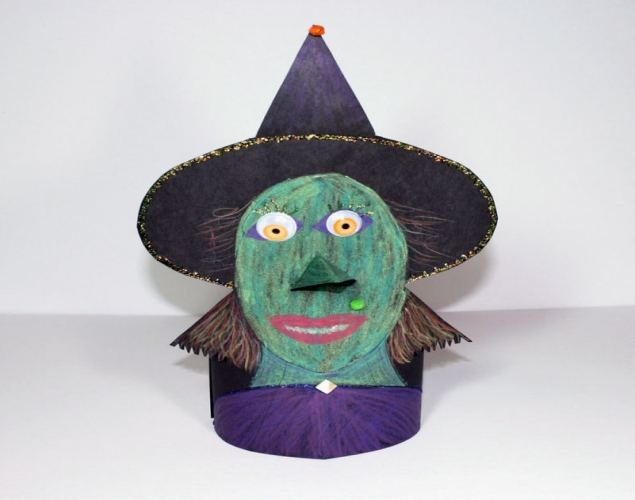 Guide students through the steps outlined in this lesson plan. Observe students as they work. Encourage them to share and expand on each other's ideas as they explore the materials. Provide individual assistance and encouragement. Place students into small groups. - talk about what was difficult and what was easy for them to do. Share ideas with the whole class. Ask them to tell how they felt about doing this project. Display the collages in alphabetical order along with student researched information about each animal. Observe students as they work – thoughtful focus, discriminating, seeking more information, elaborating, experimenting. 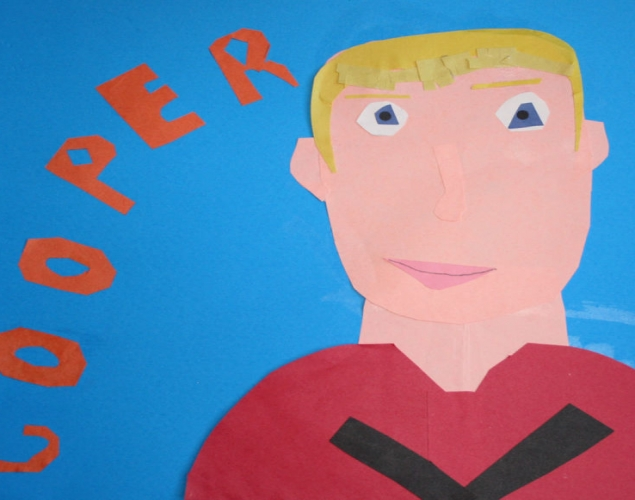 Observe students as they discuss the collages – active listening, insightful contributions, supporting ideas with evidence found in the artwork and from personal experience.